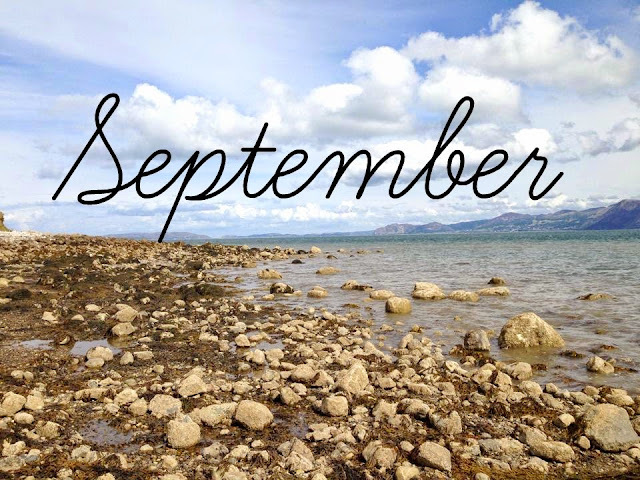 For as long as I can remember September has been my favourite month. For me it's the perfect time of year. There is something I love about coming to the end of summer and moving into a new season. So here's a few reasons why I adore this month. A Fresh Start - There is something weirdly nice and nostalgic about beginning a new academic year. Whether that be at school, college or uni, or even if you've just gone back to work after having a few weeks off. I always loved going into a new class and picking my seat at school. And now going back to uni for my final year, I look forward to catching up and finding out what people did over the summer. The Perfect Weather - For the last few years the weather in September has been amazing. I always predict an Indian Summer and this year I think the UK a has had just that. The temperature right now is so lovely and it means I can put off buying a winter coat for a few more weeks. I love that I can still wear light clothes but I'm not horribly uncomfortable from the heat. Autumnal Changes - It's this time of year the leaves begin to change and the countryside looks a little more colourful. I love that I can still wander about and pick blackberries that are super sweet. I love it even more when the leaves start to fall and we get that amazing crunchy sound. As a child I used to put on my wellies and run through the leaves - perfect. Make Up and Fashion - It's time to move from the summer subtle lip to a super bold lip. I'm talking MAC Rebel and Morange. I love that I can wear a slightly heavier eye shadow and know it won't slide off my face in the heat. As the mornings and evenings get cooler it's time to get out those cute jackets to keep us warm. And I can finally wear a lovely ankle boots without my feet getting too sweaty! Urban Decay Naked 2 Basics Palette. Budget Beauty Buys Under £5. Yummy Yogurt Cake (Gluten and Dairy Free). Combating Mental Health: Counselling & CBT. The Most Relaxing Day Ever.